At St Mary’s we have a range of midweek activities for seniors in the church and community alike. We welcome anyone to come along and find friendship, refreshments, support and spiritual nourishment. Transport can be provided for many of the activities. Let us know if you would like a lift! A warm welcome awaits you at our weekly community café in the heart of the village. Open Door provides a lovely setting in which to meet with friends and enjoy excellent coffee, tea, delicious freshly-baked cakes and sausage rolls. Why not pick of some shopping from our ‘Open Door’ Traidcraft stall? We stock a wide range of fairly traded products, including cards, stationery, kitchen rolls, biscuits, tea, superb coffee, cereals, pasta, wonderful chocolate, dried fruit and an assortment of gifts. Or if you need advice or are seeking help, come along and speak to the Community Agent on the first Wednesday of each month. There is a private space available if needed. The Lunch Club offers a warm welcome to seniors from the local community. After sharing a meal together there is a short talk or entertainment which leads into the Darby and Joan Club. A friendly group where we have a lot of fun and are very happy to welcome new members. 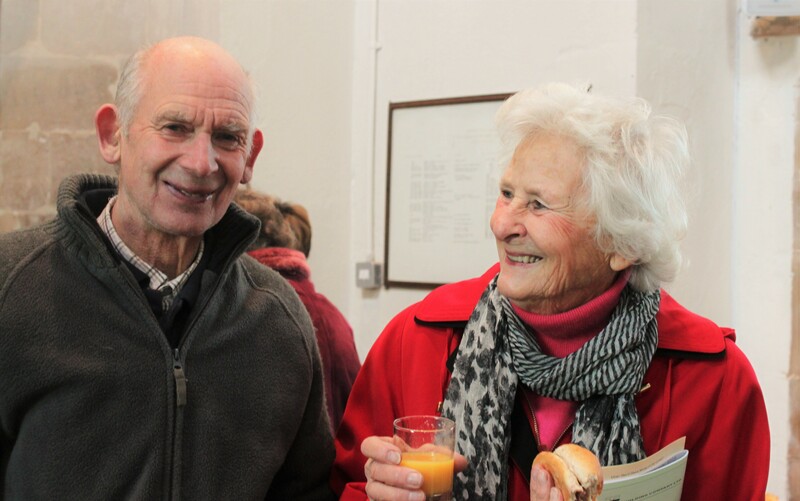 There is always tea, sandwiches, cake and chat, followed by a full programme of activities. Every summer we organise a coach trip, and in mid-December we have a special Christmas party.